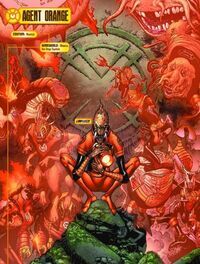 When Larfleeze would attack, you may change a Sidekick's A and D to match Larfleeze's. If you do, Larfleeze can't attack this turn. ^ Blackest Night Vol 1 #0. DC Database Wikia. Retrieved 9 August 2015.